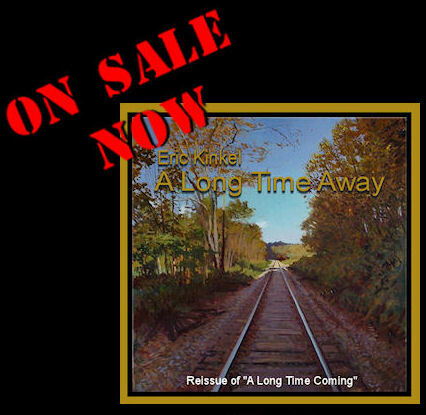 Eric Kinkel Presents - "A Long Time Coming" On Sale Now! If you have trouble viewing this email or it's contents Click Here. A re-issue of my 1988 release: "A Long Time Coming"
plus 2 bonus tracks never heard before. Click here to read more about this digitally re-mastered 20th anniversary recording. The CD's are available now! my "Antique Spirits" 2 song single CD.